It’s another setback for Huawei’s image in Europe, an important market for the company, which has been effectively blocked in the U.S. over concerns its technology poses a cybersecurity risk. It’s now facing increasing scrutiny in Europe, where it is expected it to play a major role in building new fifth-generation mobile networks. The university decided on Jan. 8 that “it will not pursue new funding opportunities” with Huawei or related companies, it said in a statement on Jan. 17. The decision, which applies to both funding of research contracts and philanthropic donations, was made “in the light of public concerns raised in recent months” surrounding the company’s U.K. partnerships. “We hope these matters can be resolved shortly and note Huawei’s own willingness to reassure governments about its role and activities,” the university said. Britain’s defense secretary and its intelligence chief both voiced concerns last month about Huawei’s involvement in the country’s rollout of 5G networks. Huawei’s troubles are expanding elsewhere in Europe. The company fired its sales director in Poland last week after authorities there arrested him on charges of spying for China. 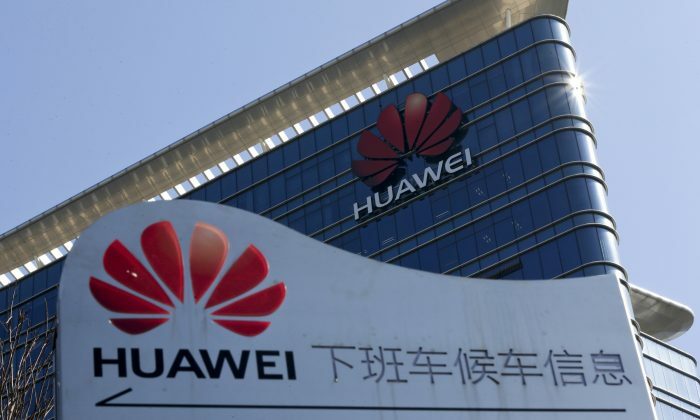 The Czech Republic has warned against using Huawei equipment because of security fears and Norway is rethinking the company’s role in its telecom networks. Huawei founder Ren Zhengfei said in a rare interview that his company had never received a request from a government to transmit information in violation of any regulations. Ren, a former army engineer and current Communist Party member, said his company “would not answer to” requests from the Chinese regime to hand over information, the Wall Street Journal reported. Ren didn’t provide details about how the company would resist requests from the Chinese Communist Party (CCP). But under China’s national security laws, all companies operating in the country are required to grant authorities control of its data if asked. The concept of national security is expansively defined to cover threats to the CCP’s authoritarian control, including opinions critical of the Party. Huawei financial chief Meng Wanchou, who is Ren’s daughter, is fighting a U.S. request that she be extradited from Canada on charges related to Iran sanctions violations. By Kelvin Chan. The Epoch Times contributed to this report.